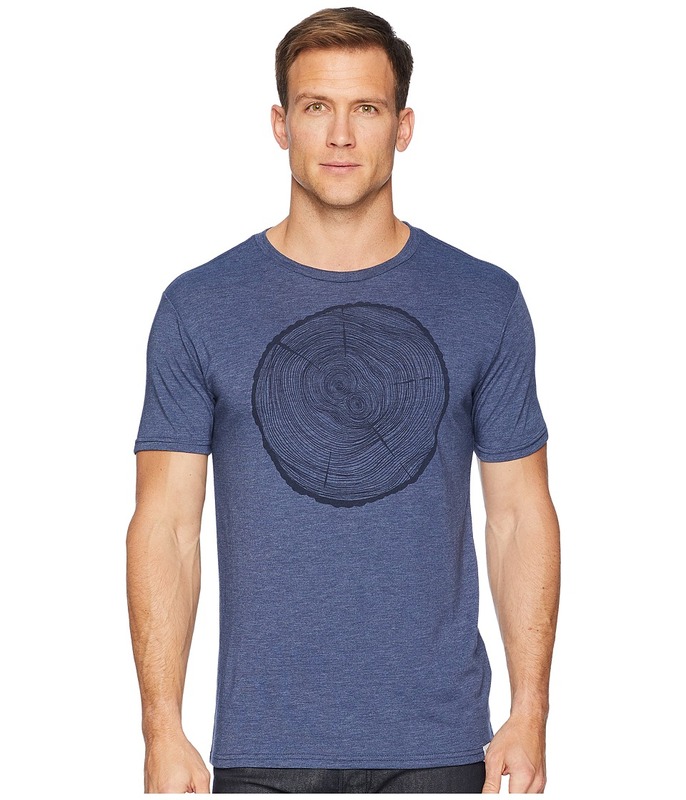 Explore the wooded unknown in the tentree Juniper T-Shirt. tentree plants ten trees for every product sold. Every tentree product comes with a registration token that tracks the trees you~ve helped plant. Standard fit allows for comfortable, all-day wear. Ultra-soft fabrication wicks moisture away from the skin. Crew neck. Custom graphic at chest features a forest silhouette. Short sleeves. Straight hem with logo clip. 50 percent recycled polyester, 25 percent Tencel, 25 percent organic cotton. Machine wash, tumble dry. Imported. Measurements: Length: 29 1 2 in Product measurements were taken using size MD. Please note that measurements may vary by size. 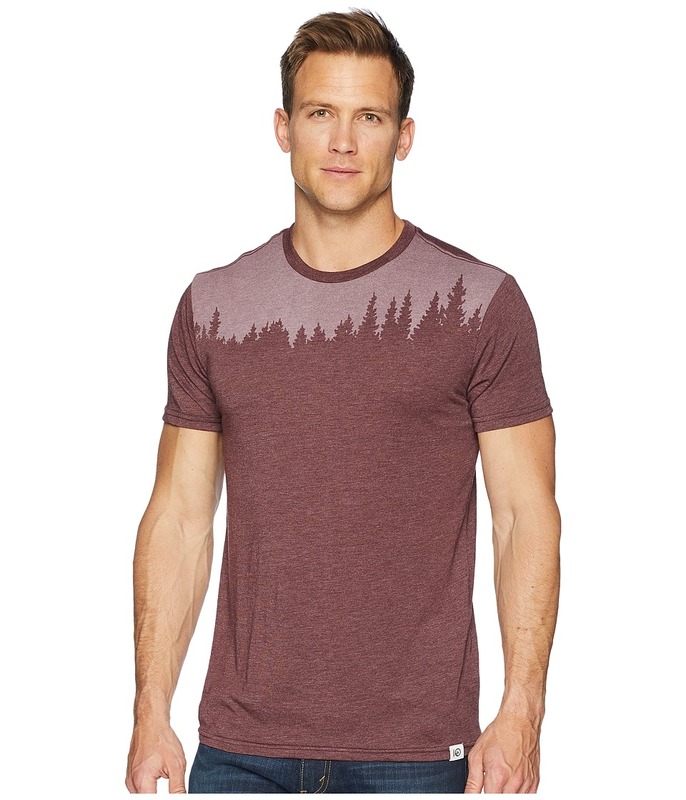 Embrace the beauty of the wilderness in the tentree Wildwood Ten Tree T-Shirt. tentree plants ten trees for every product sold. Every tentree product comes with a registration token that tracks the trees you~ve helped plant. Regular fit is a casual, relaxed fit with comfortable range of motion. Ultra-soft fabrication wicks moisture away from the skin. Ribbed crew neck. Short sleeves. Brand graphic at chest. Straight hem. 50 percent recycled polyester, 25 percent organic cotton, 25 percent Tencel. Machine wash, tumble dry. Imported. Measurements: Length: 31 in Product measurements were taken using size LG. Please note that measurements may vary by size. 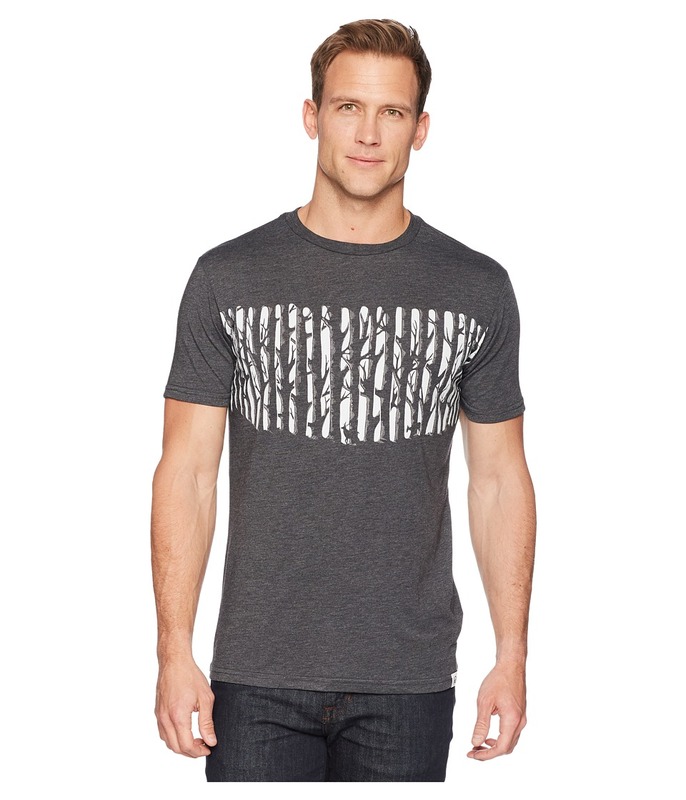 Venture forth into the woods with the tentree Waskesiu T-Shirt. tentree plants ten trees for every product sold. Every tentree product comes with a registration token that tracks the trees you~ve helped plant. Standard fit allows for comfortable, all-day wear. Ultra-soft fabrication wicks moisture away from the skin. Crew neck. Custom graphic at chest features a tree grove with leaf detail. Short sleeves. Straight hem with logo clip. 50 percent recycled polyester, 25 percent Tencel, 25 percent organic cotton. Machine wash, tumble dry. Imported. Measurements: Length: 29 in Product measurements were taken using size MD. Please note that measurements may vary by size. Spend time in the woods with your friends in the tentree Foxglove. tentree plants ten trees for every product sold. Every tentree product comes with a registration token that tracks the trees you~ve helped plant. Standard fit allows for comfortable, all-day wear. Ultra-soft fabrication wicks moisture away from the skin. Ribbed crew neck. 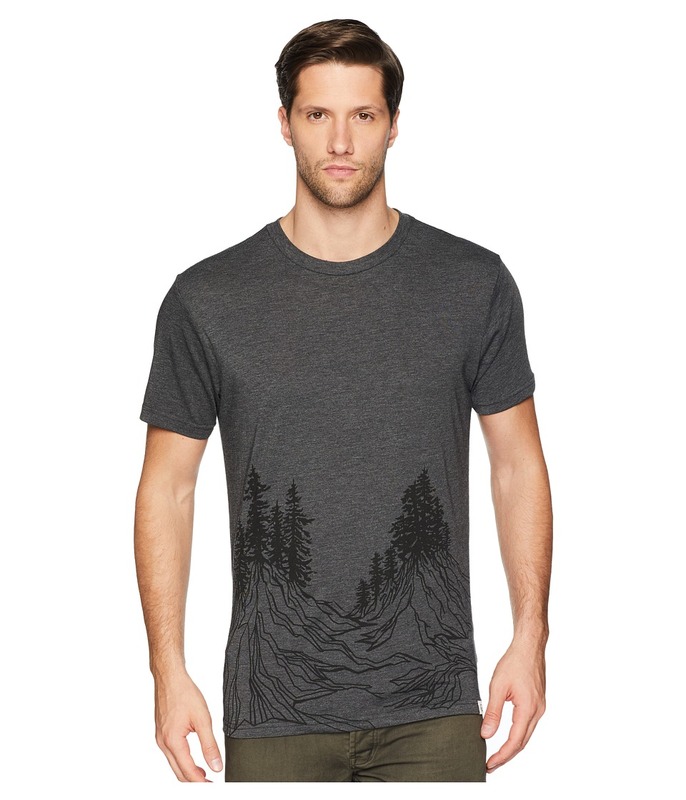 Forest graphic silhouette at front. Short sleeves. Straight hem with logo clip. 50 percent recycled polyester, 25 percent Tencel, 25 percent organic cotton. Machine wash, tumble dry. Imported. Measurements: Length: 30 in Product measurements were taken using size LG. Please note that measurements may vary by size. 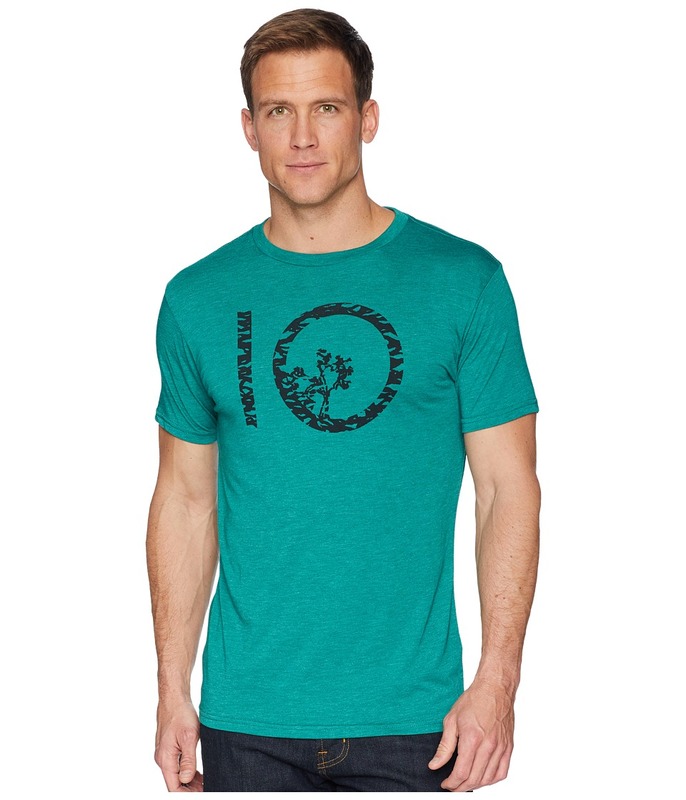 Treasure the trees around your neighborhood with the help of the tentree Master T-Shirt. tentree plants ten trees for every product sold. Every tentree product comes with a registration token that tracks the trees you~ve helped plant. Regular fit is a casual, relaxed fit with comfortable range of motion. Ultra-soft fabrication wicks moisture away from the skin. Ribbed crew neck. Short sleeves. Brand graphic at chest. Straight hem with logo clip. 50 percent recycled polyester, 25 percent organic cotton, 25 percent Tencel. Machine wash, tumble dry. Imported. Measurements: Length: 30 1 2 in Product measurements were taken using size MD. Please note that measurements may vary by size. Spending your weekend relaxing in the tentree Drifter T-Shirt. tentree plants ten trees for every product sold. Every tentree product comes with a registration token that tracks the trees you~ve helped plant. Standard fit allows for comfortable, all-day wear. Ultra-soft fabrication wicks moisture away from the skin. Ribbed crew neck. Responsibly-sourced cork brand flag. Short sleeves. Shirttail hem with logo clip. 52 percent recycled polyester, 45 percent hemp. Machine wash, tumble dry. Imported. Measurements: Length: 34 in Product measurements were taken using size LG. Please note that measurements may vary by size. 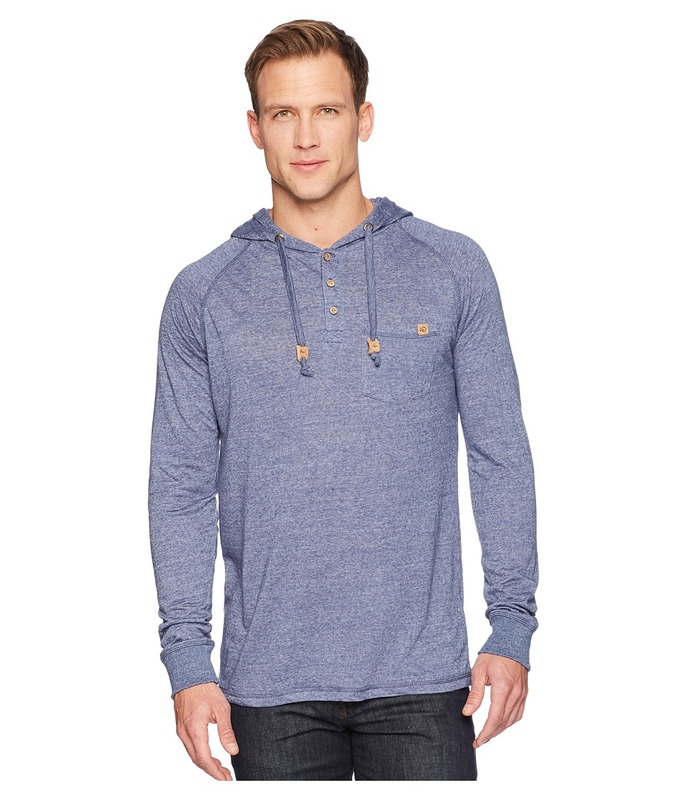 The tentree Hamilton Hooded T-shirt is the perfect companion on your morning runs around the block. tentree plants ten trees for every product sold. Every tentree product comes with a registration token that tracks the trees you~ve helped plant. Standard fit allows for comfortable, all-day wear. Long sleeve t-shirt produced in a jersey-knit blend features natural UPF sun protection and anti-microbial properties. Three-panel hood with adjustable drawstrings. Classic pullover design. Three-button placket. Five-point patch pocket with branded brand clip. Drawstring tabs, buttons, and pocket patch are made of environment-conscious cork. Long raglan sleeves for improved movement. Straight hemline. 52 percent recycled polyester, 28 percent hemp. Machine wash, tumble dry. Imported. Measurements: Length: 29 in Product measurements were taken using size MD. Please note that measurements may vary by size. 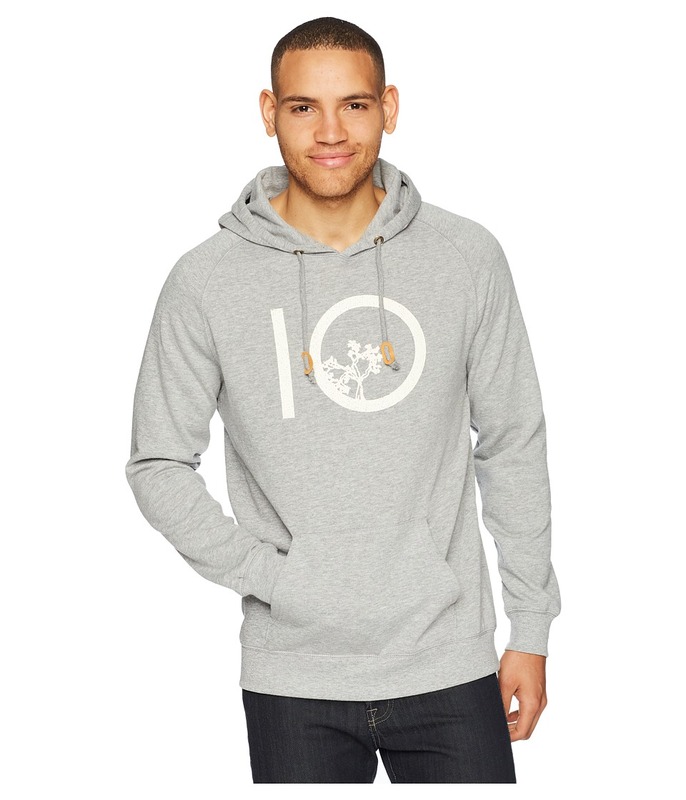 Brisk mornings and chilly nights won~t stop you from enjoy the beautiful outdoors with the tentree Classic Ten Hoodie. tentree plants ten trees for every product sold. Every tentree product comes with a registration token that tracks the trees you~ve helped plant. Standard fit allows for comfortable, all-day wear. Heather-fleece hooded sweatshirt features an ultra-soft feel. Two-panel hood with adjustable drawstrings. Drawstring tabs are made of environment-conscious cork. Classic pullover design. Custom graphic at chest features the tentree logo. Long raglan sleeves for improved movement. Kangaroo hand pocket with brand clip. Rib-knit hemline. 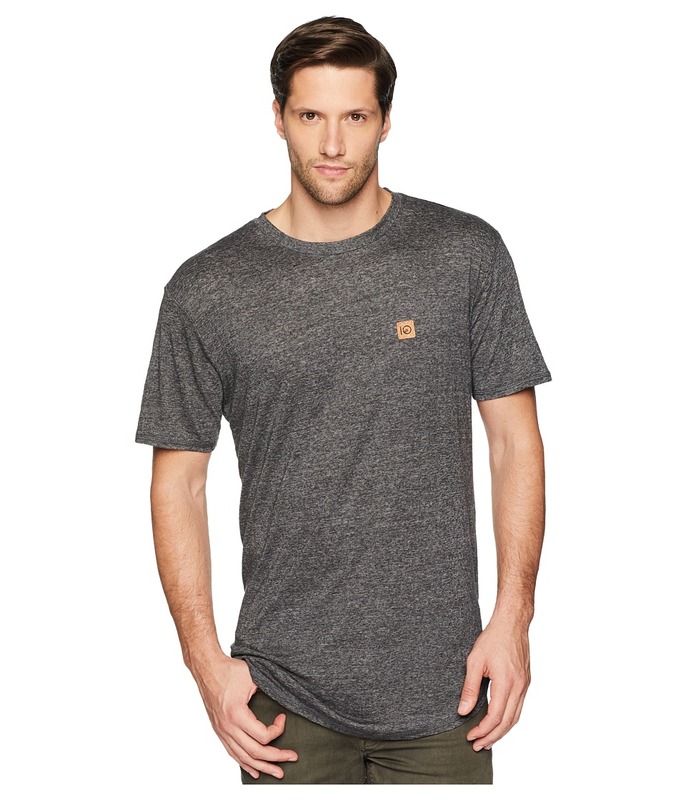 60 percent organic cotton, 40 percent recycled polyester. Machine wash, tumble dry. Imported. Measurements: Length: 28 in Product measurements were taken using size MD. Please note that measurements may vary by size. 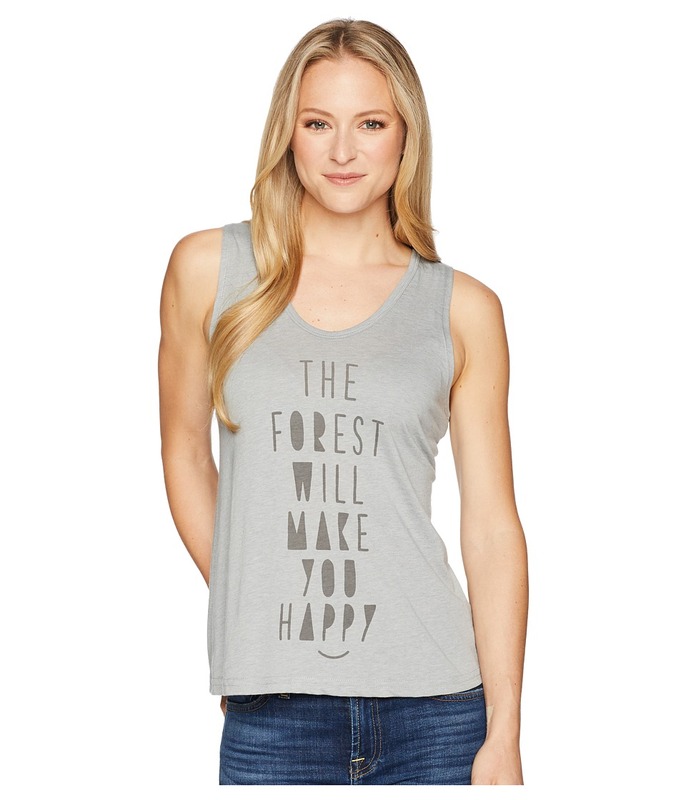 Be at your happiest when you~re among the giants of the forest in the tentree Beauty T-Shirt. tentree plants ten trees for every product sold. Every tentree product comes with a registration token that tracks the trees you~ve helped plant. Flowly fit t-shirt gently contours to the body. Ultra-soft fabrication wicks moisture away from the skin. Scoop neck. Sleeveless design. Verbiage at chest. Straight hem with logo clip. 50 percent organic cotton, 25 percent recycled polyester, 25 percent Tencel. Machine wash, tumble dry. Imported. Measurements: Length: 24 in Product measurements were taken using size SM. Please note that measurements may vary by size.